It's time to meet new Nabi. We are glad to inform you that upgraded New Nabi is out in the market. 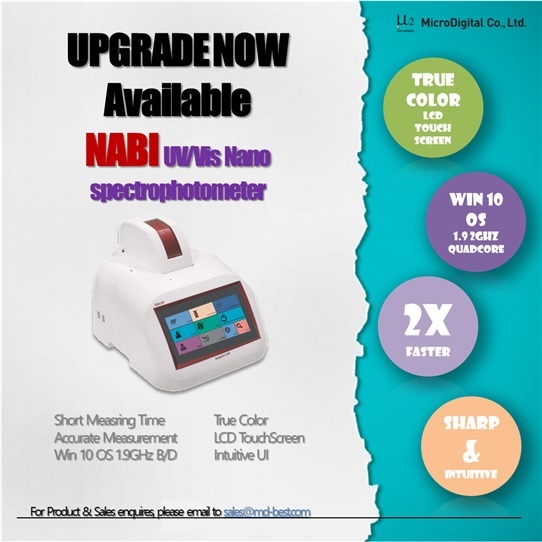 Nabi is a UV/Vis Nano spectrophotometer that can measure cuvette and microvolume samples. These are the representing features of upgraded Nabi. Biotechnica 2017 - Thank you for visiting!